I made you bran muffins. 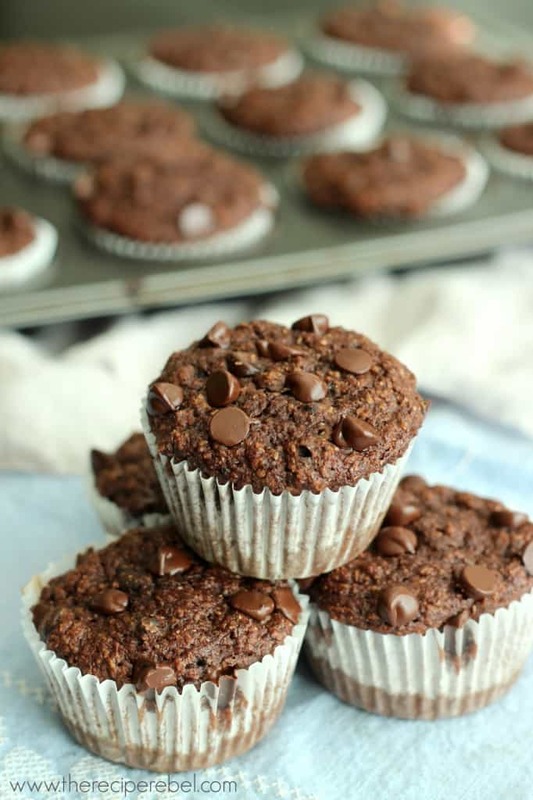 But they’re double chocolate bran muffins, so we’re all good, right? As I mentioned when I shared my Pineapple Lemonade Fruit Dip, I am making more of an effort to eat healthy now that I’m expecting our second child. 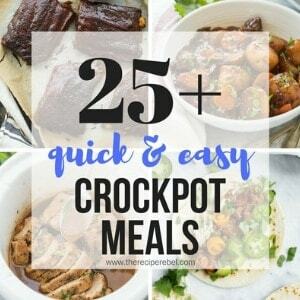 I find at the beginning of my pregnancies that I am just so hungry all the time. For the first 8 weeks or so, I eat an embarrassing amount of food. And I know there are people who will respond, “you’re eating for two!” or “you’re growing a baby — your body needs it!” And I also know that they’re wrong. A baby the size of a poppy seed does not need two full bowls of Chocolate Cheerios for an afternoon snack. Nor does a baby the size of a raspberry need a chili burger the size of my face and a bucket of fries. Don’t peg me as a pregnancy diet extremist — I don’t deny myself food to avoid putting on the weight that is going to come anyway. 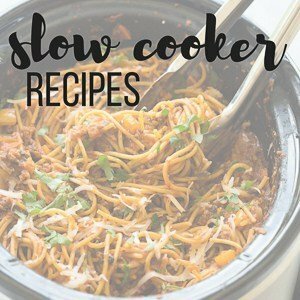 I just try to make healthy swaps for the food I really want to eat. I try to choose food that is packed full of protein and fiber, so that hopefully I can go an hour or two between meals. That being said, since I got it in my head to make some bran muffins the first time this pregnancy, I have renewed my love interest with bran. 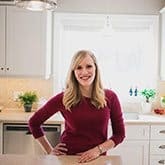 I know that seems super lame, but as a hungry-(at times hangry)-trying-to-be-healthy pregnant woman, I am loving the list and amounts of vitamins, minerals, fiber and protein. Especially the all-important Iron. But I felt like a post about regular old bran muffins wouldn’t do so well. Like maybe you wouldn’t share my enthusiasm. So I made them chocolate. Double chocolate. With banana. And chocolate. And I sprinkled a few chocolate chips on top to distract from all the healthy stuff inside. And they are seriously delicious. I’m not even lying to you, to make myself feel better about snacking on bran muffins for the next 6 months. They are moist and chocolatey and banana-y. And they have chocolate chips. Just saying. My 2 year old devoured two before bed. And I’m pretty sure she would have kept working on them if I hadn’t stopped her. 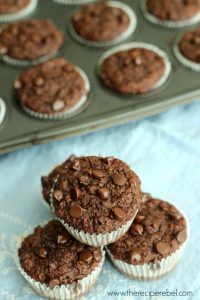 Rich, fudgy bran muffins featuring chocolate and banana -- so good you could eat them for dessert! I promise you can't even taste the bran ? Preheat oven to 350 degrees F. Line muffin pans with about 16 paper liners. In a medium bowl, combine cereal and milk. Let sit 3-4 minutes until soft. Add bananas to a large mixing bowl and mash with a whisk. Whisk in egg, brown sugar applesauce and vanilla. Whisk in flour, cocoa, baking powder, baking soda and salt to the bowl. Add softened bran and whisk just until combined. Stir in chocolate chips. Ladle into prepared muffin pans and bake at 350 degrees F for 15-20 minutes (Mine baked exactly 19 minutes) until a toothpick comes out clean or mostly clean. Let cool to room temperature (you can dive in before that, but the paper liners are difficult to remove from warm muffins!). Yogurt or sour cream will work, or oil or melted butter. You will lose a bit of the sweetness so if you like things quite sweet you may want to add a bit more sugar. Made essentially these today; they were fantastic. I used a quarter cup of truvia baking blend and a tablespoon of molasses instead of the brown sugar, left out the pinch of salt, and just dumped in a whole 4 oz snack cup of unsweetened applesauce. Also didn’t want to deal with a second muffin tin so I heaped it all into a dozen muffins and let it bake a few minutes longer. The result is just awesome. The recipe is a keeper, thanks. Thanks Bob! 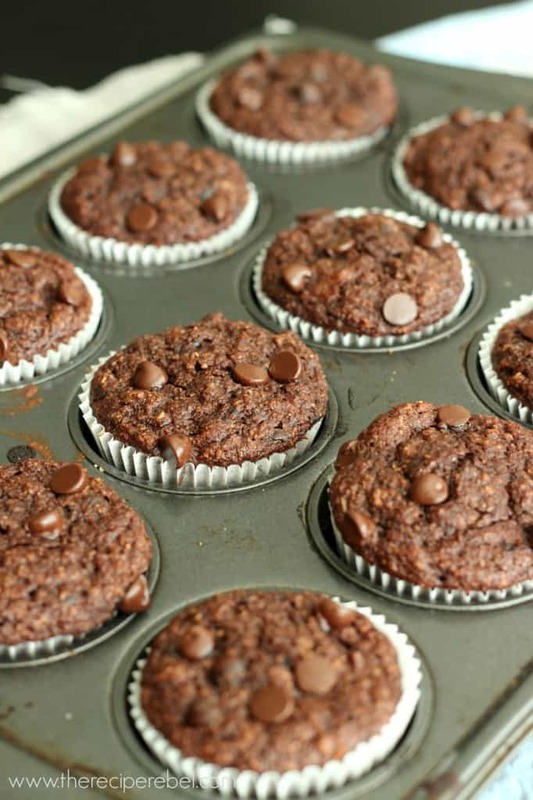 It is our favorite muffin recipe! Hi Ashley- wow !! 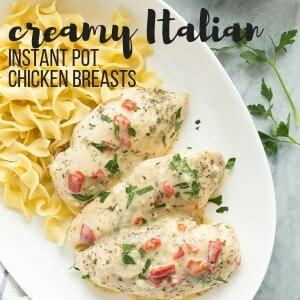 Your recipes sound truly divine and I would like to try some – just wanted to check – prob a silly question but how much is a “cup” measurement in ounces or grams? Thanks! Hi Alex! Thanks! I honestly can’t say, as the weight of a cup will differ for every ingredient. i love healthy treats. yum! Ashley!! I was sooooo excited when I seen this title up on fb. 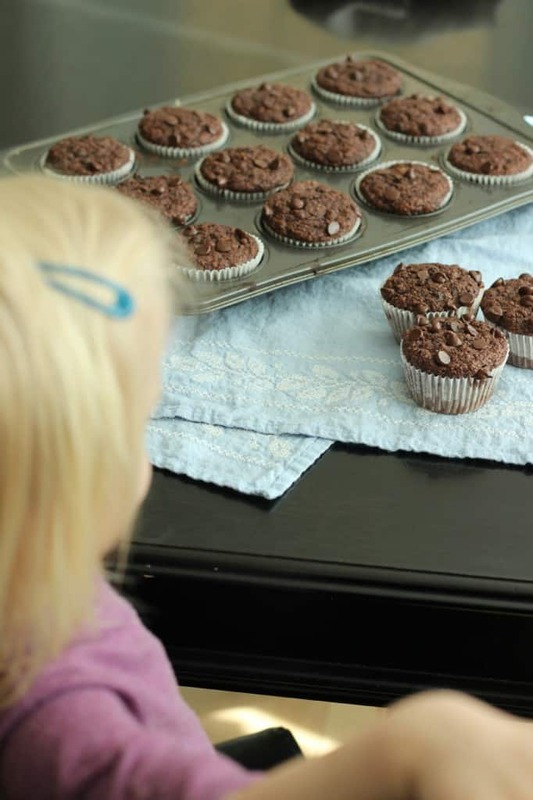 #1 Muffins are huge in this house, we just love them….. #2 I love chocolate muffins….#3 I love bran muffins….. #4I love banana muffins! Can’t wait to try them. I’m printing off the recipe now. ps It’s Ashley Nelson lol. Lol. They are now my favorite muffin! Let me know how you like them!